Within a shorter Nintendo Direct presentation last weekend, Satoru Iwata provided details of the first downloadable content for New Super Mario Bros. 2. Three packs will be available which, as previously announced, will all serve to expand upon Coin Rush mode. 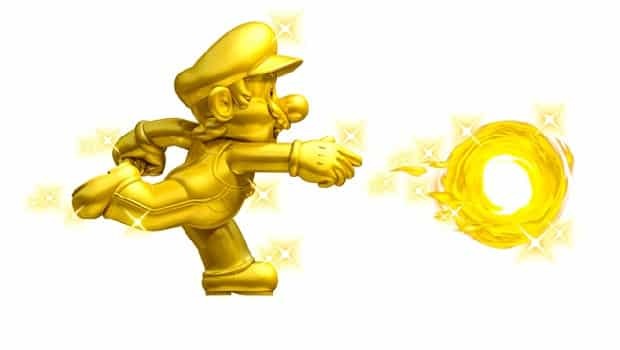 The first, known as the ‘Gold Mario Go! Go! Pack,’ will contain three Coin Rush mode stages with 30,000 Coins contained within. Whereas ‘Challenge the Record A Pack’ will centre upon three time-limit challenges with high scores being publicly listed on the Nintendo of Japan website. Lastly, for now, is the ‘Survival Panic Pack,’ which will provide the most challenge. All three will be available across Japan on October 2nd, priced at 200 yen (£1.59) each.